Fresh Dental provide innovative cosmetic dentistry solutions to suit the needs of all patients. Book an appointment at our London or Bolton clinics to find out what we can do for you. © 2019 Fresh Dental. All Rights Reserved. Good dental check up experience and was being taught on how to maintain good oral hygiene! The scaling and polishing outcome was magnificent as well. Brilliant for nervous patients. I always feel calmed by the excellent caring attitude of the dentist Paula. Far the best I've experienced. As a dentist myself, my expectations of dental treatment are always likely to be high. Having been to see Dr.Vasant at Freshdental, London, I am delighted to say that all expectations were exceeded! I would wholeheartedly recommend this practice to anyone seeking very high quality meticulous aesthetic dentistry within a friendly and pleasantly informal environment. Dr. Vasant and his team provided the highest level of care in all aspects of my treatment and did everything they could to make sure that I was overjoyed with the end product! I have no hesitation in recommending anyone to visit Fresh Dental for any level of treatment! Incredible. Over the years I have mad many trips to the dentist and had a lot of work done. I have to say that Monik is not only kind, fast and extremely talented but the whole team and practice make a trip to the dentist an almost enjoyable experience. I don't know why you would go anywhere else, seriously.. Highly professional and skilled dentist, very helpful and friendly receptionist. Amazing team at Fresh Dental! Before deciding to book an apointment at Fresh Dental I have sent several e-mails to different clinics in London to find out as much information about Invisalign treatment and also about the price. Angela, the Practice Manager replied to my e-mail in a very polite and nice manner answering to all my questions. Reading all the e-mails from other clinics I realized the best offer, price-wise was at Fresh Dental. I decided to contact Angela and book an appointment with Monik Vasant. Once I arrived at the clinic Angela welcomed me and we started talking as we were best friends. She is the loveliest person I have ever met, always very organized and helpful. Monik introduced himself and invited me for consultation. 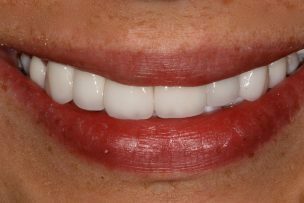 He explained to me all the aspects related to the Invisalign treatment and made me confident to have this treatment done . He even told me about other options available in dentistry for my problem to be able to choose the best option for my case. I decided then to start the full Invisalign treatment. Monik gave me his mobile no and also his e-mail to contact him in case I have any problem while wearing my first aligners or I have any concerns. He always replied to me no matter how busy he was. I am pleased to tell you that I have almost finished my Invisalign treatment I have two more months actually and I have been at the clinic every month, for more than one year now and I always feel good there. Monik is the best dentist I have ever had, now I understand why he was named as Best Young Dentist at the Dentistry Awards in 2010. You may also have seen him on TV programmes such as GMTV, ITN News, The One Show and Gok's Style Secrets. Monik is an author of the "Messages from Dental Masters' books and his own clinical book, "Smile Art", is proudly held in the British Library. A big thank you to the team at Fresh Dental, they are all amazing, always doing their best to deliver high standard services for their clients. Hi, I''ve had consistent good dental experiences over a number of years with FreshDental at Russel Square. Recommended. I can only write a review about Paula Horchler who has been looking after my teeth for as long as I can remember. She is brilliant in every way, but in particular, and as my wife puts it, she doesn't hurt, and that doesn't just cover drilling but the total removal of a tooth found to be beyond repair. I cannot recommend her too highly. 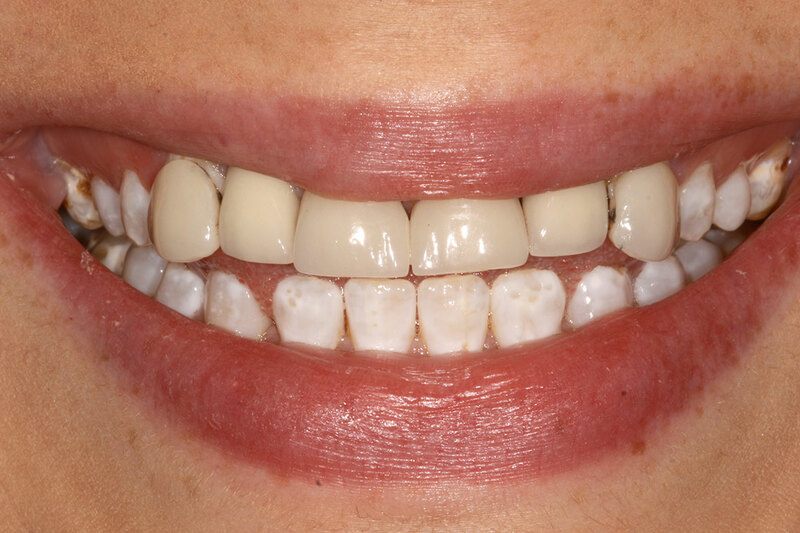 I am delighted with the results of my treatment with Monik and would highly recommend him to anyone wanting to improve the appearance of their teeth. My experience with Dr. Paula Horchler went beyond my expectations, I have found genuine compassion, empathy, sensitivity and high quality practice considering my welfare. For so long living in the UK only at Fresh Dental I felt myself as a patient not like a client who being treated as a subject of business. So grateful for dedication and professionalism of Dr. Paula Horchler. Would highly recommend this practice. Excellent service, very professional and polite staff. Paula (Dentist) provided great care, aftercare and advice. Fresh Dental's entire team make you feel calm & relaxed from the moment you enter the clinic. Monik is a master at the art of composite bonding & truly transformed my smile with minor adjustments without damaging my natural teeth. Highly recommend the service and treatments they provide!